Interior design plays a big role in the everyday life. It introduces people to beauty, relaxation, and modernism. 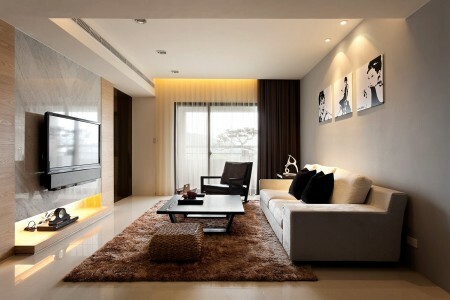 Interior design is an important technique that is given a high attention all over the world nowadays. People’s interest in having a nice and attractive design for private and public buildings is increasing. This shows the importance of interior design nowadays. Designers get close with their customers in order to understand their feelings about a specific space. There are many families in the world living under bad conditions. Many interior designers around the world work in big organizations that focus more on renovating spaces for people who cannot afford high ideas. One of the greatest organizations is located in East Jerusalem. It is an NGO called “Welfare Association” (WA), better known by it’s Arabic name, “ Ta’awoun” meaning cooperation. This association is meant to help out renovating the interior space of the old houses in the old city of Jerusalem in order to keep the families living safely in their homes. The association is dedicated to help out the Palestinian families who are still living in the old city by improving their living environment. The association focuses on renovating the interior space of the homes in order to preserve their great heritage and identity, and support their living conditions by focusing on modernizing their property; bedrooms, toilets, etc… This organization has been a great inspiration for designers all over the world. Interior designers working in such organizations experience the willingness to continue their work and learn more important skills and techniques. By working on such projects, interior designers start realizing how important interior design is for the everyday living conditions and happiness. Importance of interior design is obvious when an interior designer has a great, successful career. Interior designers will always need to introduce new ideas and techniques in order to maintain creativity in their designs. By having great accomplishments as a designer. Being a successful interior designer will help the person to experience new tips and information. Interior Designers have beautiful dreams that they hope will get the opportunity to achieve one day. 14 Responses to "Interior Design and Its Importance"
I am grateful for your post. I would like to write my opinion that the price of car insurance differs a lot from one scheme to another, since there are so many different facets which play a role in the overall cost. As an example, the make and model of the auto will have a huge bearing on the fee. A reliable aged family automobile will have a more economical premium compared to a flashy expensive car. I’ll immediately take hold of your rss feed as I can’t find your email subscription hyperlink or e-newsletter service. Do you’ve any? Please allow me realize in order that I could subscribe. Thanks.